Robert Denogent is in a class of his own making wine in Southern Burgundy. The wines of Robert Denogent offer amazing value. They are often compared to their neighbors to the North, the great white wines of the Cote D’Or, for their richness and expressiveness. They do mature earlier than the Cote D’Or whites, which can be an added bonus too! This wine is produced from old vines growing predominantly on blue schist soil. Reduced yields helps increase flavour and concentration. The grapes are harvested by hand and pressed gently. Natural fermentation with indigenous yeasts and malolactic fermentation is completed before the wine ages from 15 to 18 months in oak, a combination of new, two year old and older barrels contribute to the complexity of the final product. 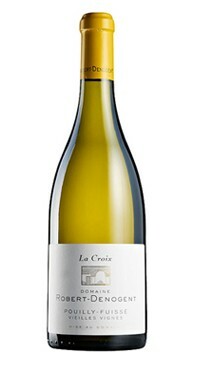 Pouilly-Fuissé ‘La Croix’ 2015 boasts aromas of ripe, white peach, baked apple and hints of toast and vanilla on the nose. The palate has a lovely, rich and silky texture, which is well balanced with bright acidity.